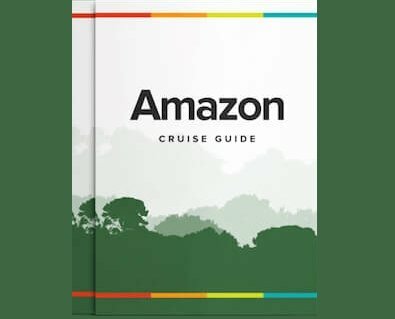 This 3-night riverboat cruise gives us a chance to get a real feeling for life in Amazonia as we explore the wonderful Amazon and Ucayalí Rivers. Witness the natural bounties of some of the best preserved and protected zones of the Pacaya-Samiria National Reserve on this extraordinary rainforest voyage. The guides will be expecting your arrival at the airport with a Jungle Experiences sign for your transfer to Nauta to board the cruise M/V La Perla. As you enter into your cabin, which will be full equipped with everything you need, you will feel how this lifetime trip is about to start. The navigation will initiate in the Marañon River to the confluences of the Marañon and Ucayali rivers where the majestic Amazon begins. We suggest to take a time to go to the observation deck and enjoy the amazing panoramic view, the guides will be explaining the story of the Amazon’s origin. During the next days, you will be navigating through the Marañon and Ucayali rivers, then through the Amazon and its amazing confluences full of wildlife. After lunch on board, you will have an afternoon-night excursion for searching wildlife in the communal reserve of Yanayacu de Yacapana. During the excursion, you will observe the biggest water plant in the world (Victorias Regias), birds, lizards, sloths, beautiful pink dolphins and other animals. At the end of the night, the guides will use the lanterns to locate caimans, owls and capybaras. Upon returning, a reception with live music by the Ship Band awaits for you to enjoy the local music followed by a welcome dinner. Once dinner is finished, the guides will invite you to a lecture about the Amazon origins. You will be back on board for dinner and for enjoying live music. You can’t miss this! A chilling and really interesting excursion will be offered at night, which is based on the search of caymans, snakes, tarantulas, scorpions, anacondas, nocturnal monkeys among others. If you don’t want to participate, you can rest upon the moonlight enjoying the nature sounds and drinking pisco sour on board. This morning we get ready to navigate through the black waters of the Yarapa river, where we will have an unforgettable experience in the search of wildlife, enjoying the amazing landscape of the jungle. Finishing the excursion, a delicious breakfast will be served on board. We will continue sailing through the paths of the Ucayali upon the high confluence of the Marañon river, until we arrive at Piranha Creek. One of the first tributaries of the Pacaya Samiria National Reserve. This morning there will be a boat excursion to explore Piranha creek. This area is great for the piranha fishing. Once the excursion is finished we will return to the ship to have lunch on board. Later, there will be a trekking tour in the jungle, where we will learn about medicinal plants. We will be looking for exotic insects of the Amazon like tarantulas, frogs, spiders and a multitude of species never seen before. Before returning to the ship, our naturalists will teach us about basic survival in the jungle. Back on board you will be welcomed with live music. Then, you will enjoy an exquisite dinner, it’s time to relax and appreciate the beauty of the Peruvian Amazon. After breakfast on board we check out and take the bus back from Nauta Town to Iquitos. En route we will visit the Manatee Rescue Center to see the remarkable work the keepers are doing to help the endangered Amazon Manatee. You may even get chance to feed the baby calves! Afterwards there will be a brief panoramic city tour around Iquitos to see the famous houses dating from the rubber time era, such as Iron House, Belen Market and more. We arrive at Iquitos Airport just before midday in time to board your outgoing flight.